Quickworkbook is a document management software that is both easy to use and powerful in its features. It allows the centralization of documents per year and per named folder but also sending by Mail (> 100 MB per shipment), archiving and backups on FTP server. It is the essential tool for day-to-day document management in any business sector. 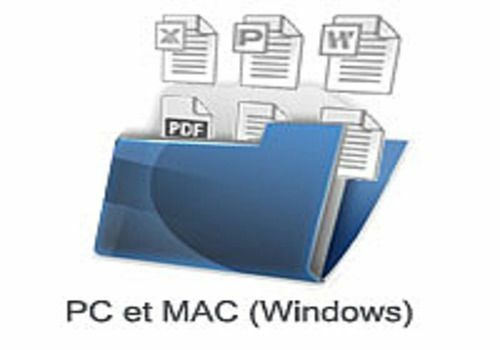 1) Centralize and manager its documents per year by name (175 recognized file formats). 2) Sending and receiving documents (All file types). Ideal for correspondence with customers or suppliers. 3) Archive, de-archive or export your files to other media (D, E, USB...). 4) Upload or import these documents (ZIP file or archive) to or from an FTP server for backup. 15 programmable servers (increased data protection). 5) Receive documents (All file types) just like Outlook, additional tools for receiving documents via the Internet. 6) Slideshow and video player (VISUAL) this photo and video viewing software is ideal for fashion photographers and other multimedia managers. From version 2.1 of Quickworkbook, this software is equipped with the d´expediton module for high-volume documents exceeding 100 MB per shipment, which makes this software a powerful and indispensable tool. No more using several software with its restrictive and sometimes incompatible updates. A single software for all these tasks ensures speed and efficiency. Boosting your business with a versatile tool (5 in 1) simplifies the daily management of documents, which represents a major asset for your business. A true multifunctional solution, GEDRis allows you to create, organize and manage all your documents. VISUAL is a photo and video presentation software, it recognizes most image formats, JPEG, BMP, TIF, ICO, PNG, WMF, RAW as well as MPEG, MOV, AVI, MP4, WMV, 3G2 video... (image and sound). Version 3.0 with Android Smartphone module. Software for simplified registration of a handrail in a municipal police station. Automatic edition of the handrail number with mandatory information. Customization of the text in logos. Micro-Ged is a software to organize your documents of all kinds (excel, image, word, pdf etc...) for individuals or small businesses.